Clay Fisher has already made a name for himself on the Bob Green Field at Alumni Coliseum. 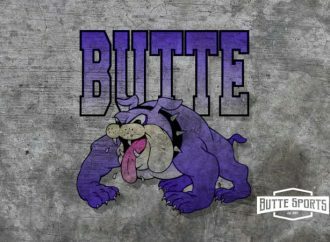 The Butte Central senior earned All-State honors the past two seasons while starring for the Maroons at running back and safety. Now, Fisher will take his game to the next level on the same turf. Fisher signed an NAIA Letter of Intent to play football for head coach Chuck Morrell and the Montana Tech Orediggers Tuesday. 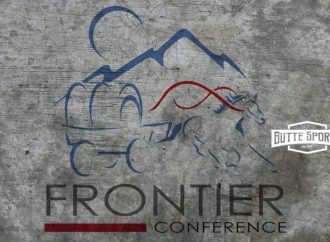 The school hasn’t officially announced the addition of Fisher, but Morrell confirmed the signing to Butte Sports. Fisher has showed off that toughness over the years on the field and the wrestling mat. Fisher placed first and second at 126 pounds at the last two Western A Divisional wrestling meets. He placed second at State as a sophomore and fifth as a junior. Fisher said continuing his career on the field that served as his home turf for his four seasons playing varsity during his high school career is the “best part” of the signing. 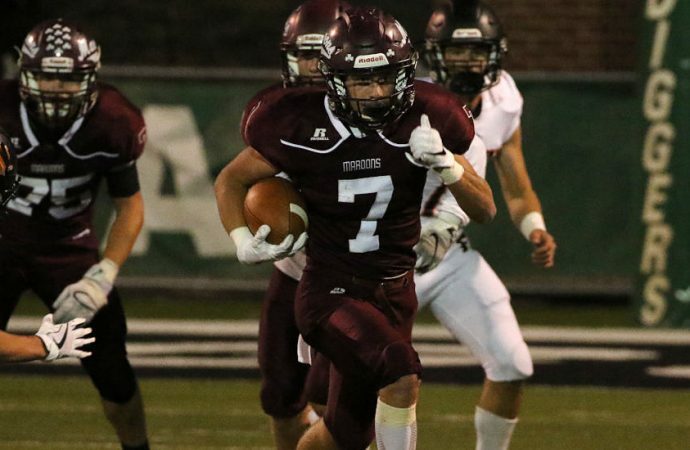 The signing comes after Fisher earned All-State honors at running back during a senior season that saw him put up more than 1,000 yards of total offense for the Maroons. Fisher ran for 942 and scored 12 total touchdowns. He averaged 33.3 yards per kick return and 21.0 yards per punt return. He also earned a second-team all-conference mention at safety. As a junior, Fisher was named All-State at safety and second-team all-conference as a running back. 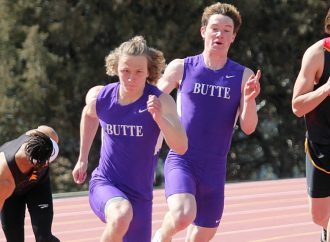 Carrying a 4.15 GPA at Butte Central, Fisher was Academic All-State his entire career. He said he isn’t sure of his major at Tech, though civil engineering is at the top of his list. Fisher is 5-foot-8 and currently weighs about 155 pounds. He plans on wrestling at 138 for the Maroons when he is cleared to hit the mats from an injury in a couple of weeks. Morrell said Fisher will get a chance to play running back and slot back for the Orediggers. He could also go back on returns. 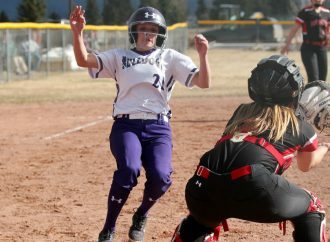 The Orediggers are the only team Fisher seriously considered signing with. The signing of the Letter of Intent came with a heavy heart for Fisher. His father, Mike, passed away unexpectedly on Saturday. His mother is Jackie Fisher, and Clay has two brothers, Cooper and John. Fisher said Tuesday’s signing is helping him get through a tough time.